The trick to cooking great turkey burgers is adding lots of flavor to the meat. Since turkey is naturally lean, it dries out when it grills and can end up tasting bland if you don’t spice it up. 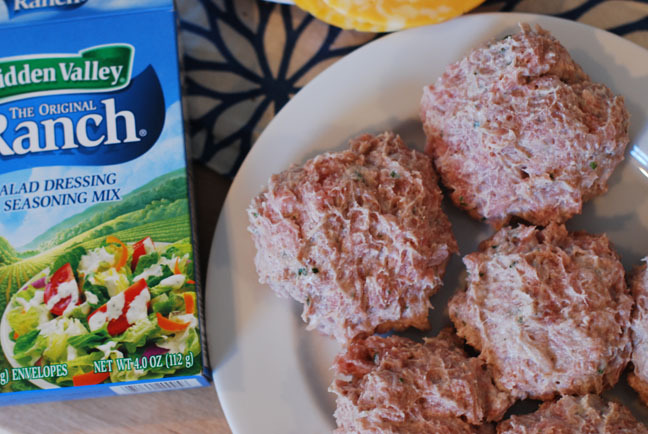 My personal favorite way to spice it up is with Hidden Valley® Original Ranch® Salad Dressing & Seasoning Mix. The flavor is strong enough to infuse the meat and remain present after it has been grilled. I also add a little mayonnaise to the meat to introduce a little extra fat and moisture. This isn’t necessary with beef, but it works great with turkey. You could also use sour cream or ricotta cheese if mayonnaise isn’t available. 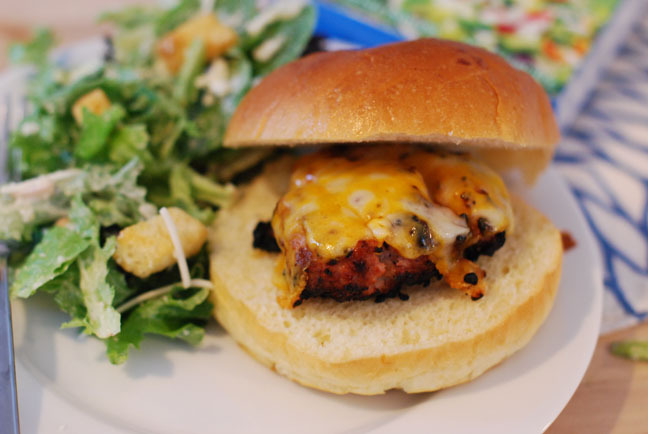 These delicious spiced burgers are guaranteed to be a hit on your table this summer. They can be made with just three ingredients and whipped up in four simple steps! It doesn’t get easier, or tastier, for summer. Step 1: In a large bowl mix turkey, Hidden Valley® Original Ranch® Salad Dressing & Seasoning Mix, and mayonnaise, until fully combined. Step 2: Use your hands to shape the turkey into 8 patties. The patties should stick together, but don't pack them too tight. Step 3: Light a grill to medium flame and lightly oil the grate. 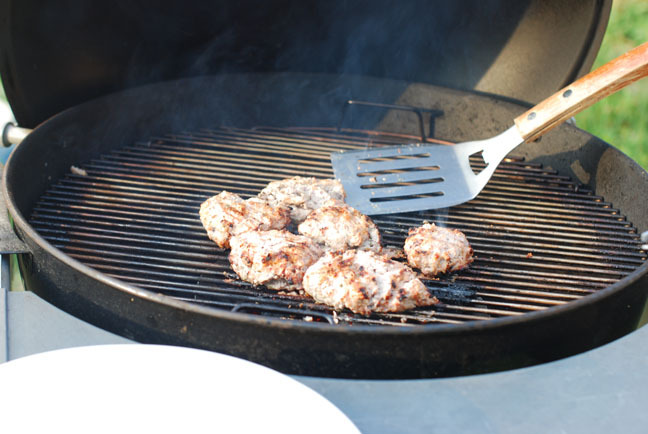 Grill the burgers for about 6 to 8 minutes per side, or until internal temperature reaches 165 degrees F. Turn once or twice to ensure grill marks. 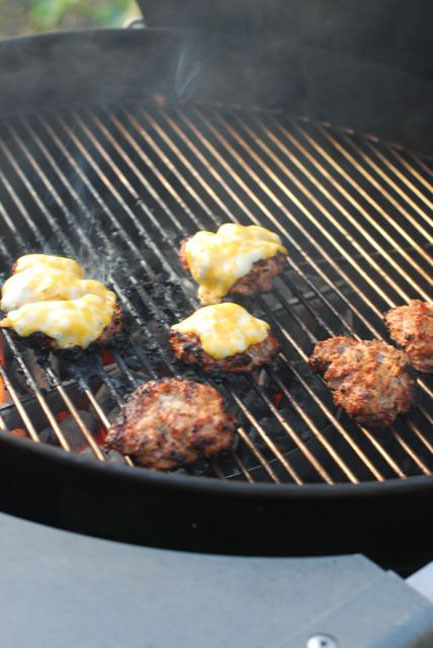 Step 4: After the last turn add cheese slices to the burgers and close the lid of the grill to melt the cheese. This will take about 1 minute. Then remove the burgers and place on buns. Serve immediately!